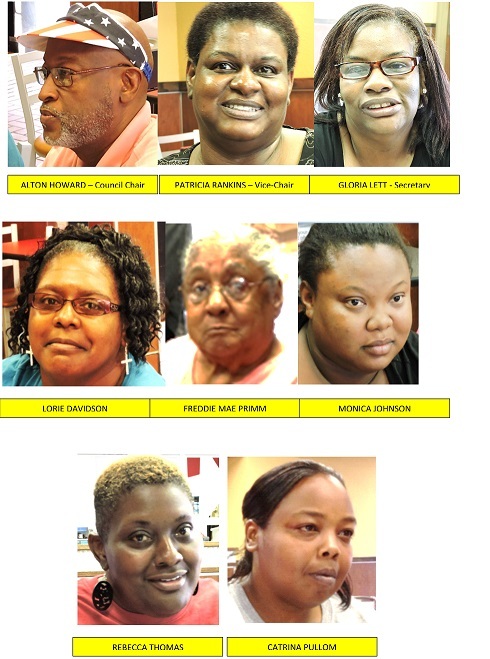 These are current volunteer members of the Southwest Community Support Council. This council serves the needs of individuals and families in Monroe, Escambia and Conecuh Counties. The Board of Trustees governs the nonprofit corporation, Family Support (Individual & Family Support of South Alabama). This is the home of the Region III Regional Support Council which serves ten counties in southern Alabama, Baldwin, Cahaba, Clarke, Conecuh, Dallas, Escambia, Mobile, Monroe, Perry, and Wilcox Counties. M-Fuge provides a summer camp experience where helping others is the focus. Volunteers from all over the Southeast come together. Here they take a break after building a wheelchair ramp for an Alabama family. 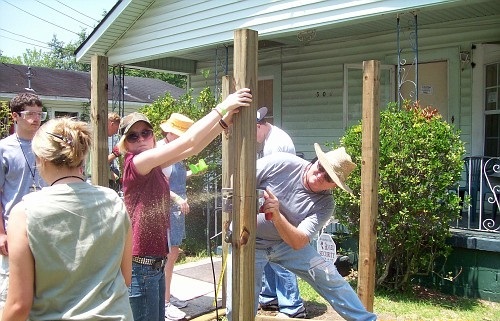 Volunteers working with the Mobile Area Community Support Council, a local council of the Individual & Support Program, build a wheelchair ramp in the heat of a Mobile summer day. As this family was having greater difficulty giving their son a bath in their small bathroom, they came to Family Support seeking help. With a new roll-in shower their caregiving was much easier. St. Paul's students in Mobile help provide food for families that include a child with disabilities. Boxes were made up to give families an assortment of food products for a Thanksgiving dinner.